Product #16581 | SKU ECM55B | 0.0 (no ratings yet) Thanks for your rating! 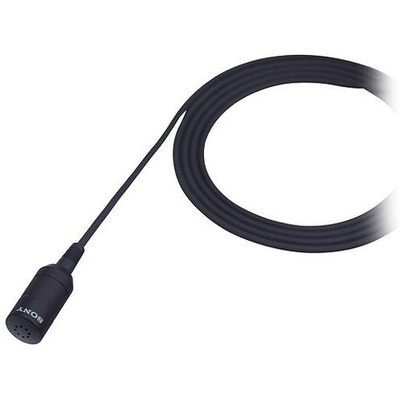 The ECM-55B is an omni-directional lavalier microphones suitable for many different applications ranging from news and interviews to stage dramas and instrument pick-up. Above 2 kHz, there is a gentle rise in the response to give a touch of presence to any instrument, while offering crisp, clean voice quality without any masking effect when used as a lapel microphone. The directivity is optimised to ensure uniform, dependable output, regardless of the direction of the sound source. The metal mesh windscreen effectively eliminates both wind noise outdoors and pop noise in close-up situations. All this and traditional operation, the ECM-55B may well prove to be your most versatile and useful lavalier microphone. The directivity is optimised to ensure uniform, dependable output, regardless of the direction of the sound source. The metal mesh windscreen effectively eliminates both wind noise outdoors and pop noise in close-up situations.